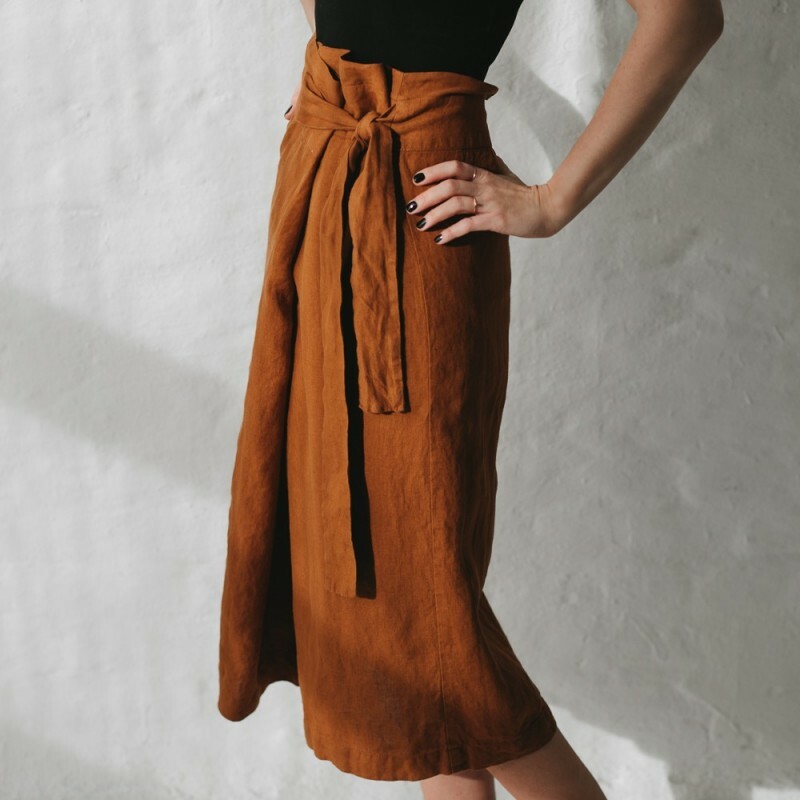 You can’t get much comfier than a soft 100% Baltic linen wrap skirt. 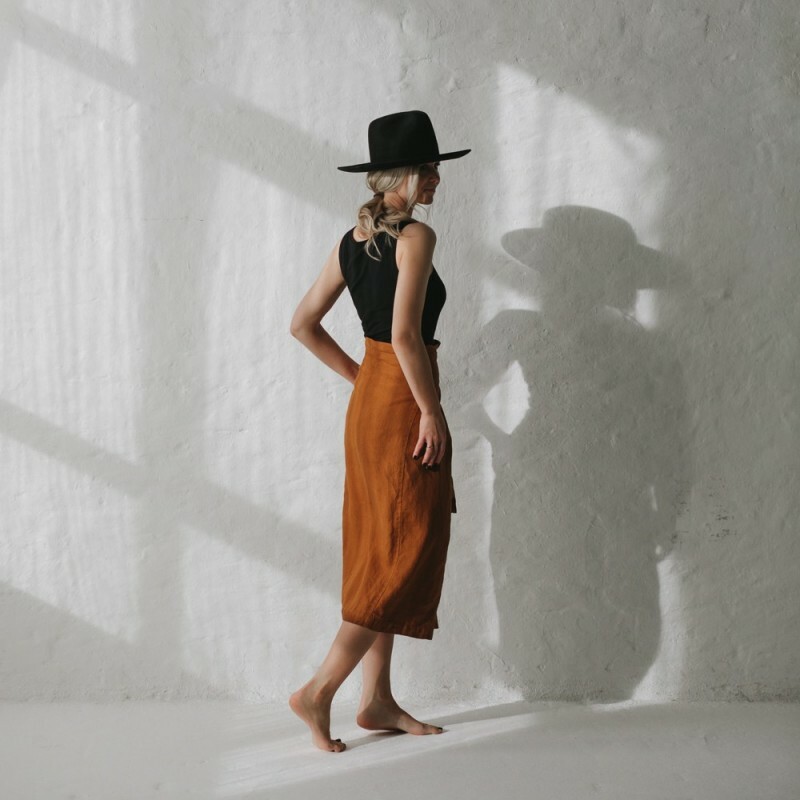 This mustard below-the-knee beauty can easily be tied in multipe ways and looks beautiful paired back with a simple black singlet or tank. 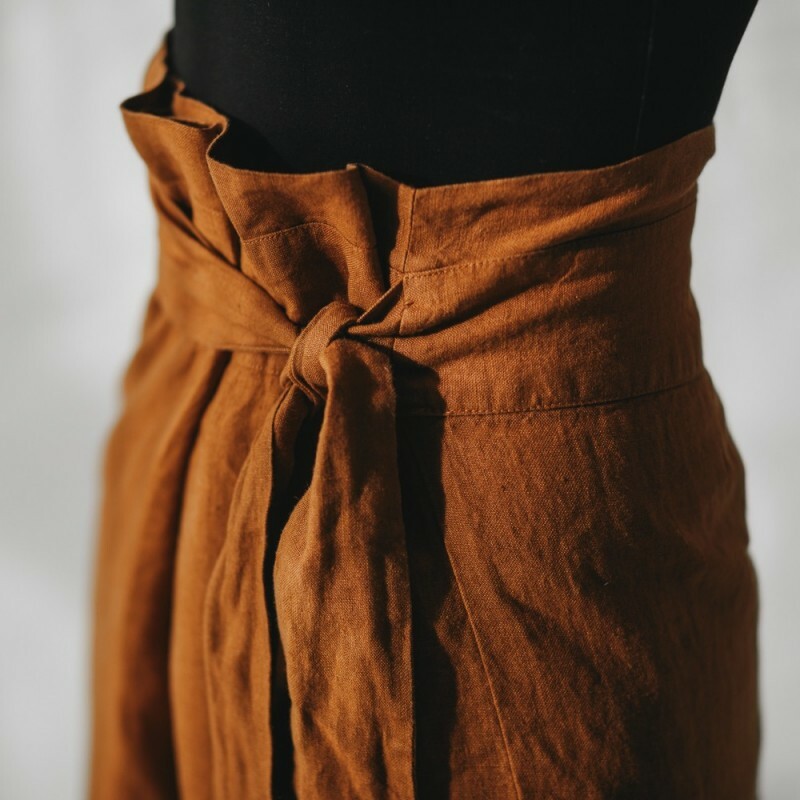 Wear it, wrap it, wrinkle it, this skirt will continue to soften and age beautifully with every wash. Wore this skirt for the first time today and loved it.